We are a small breeder focused on quality versus quantity. 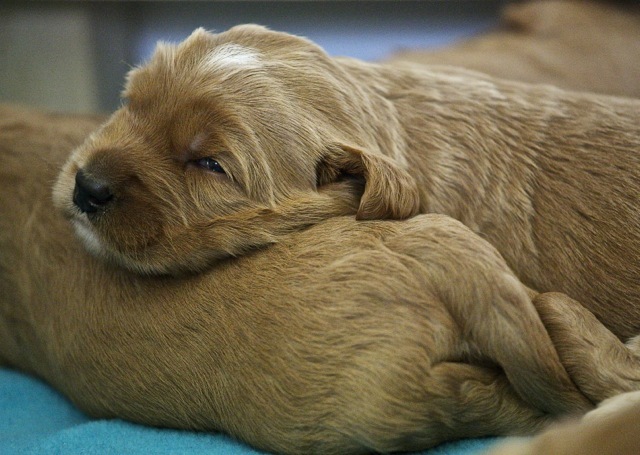 We plan each litter very carefully, and invest hundreds of hours into every puppy we raise! Over 1/4 of the puppies we have raised are now training or working as therapy/ assistance dogs. Because Leapfrog is known for exceptional bloodlines, extremely high standards in health testing, and outstanding customer support, our waitlists fill up quickly. 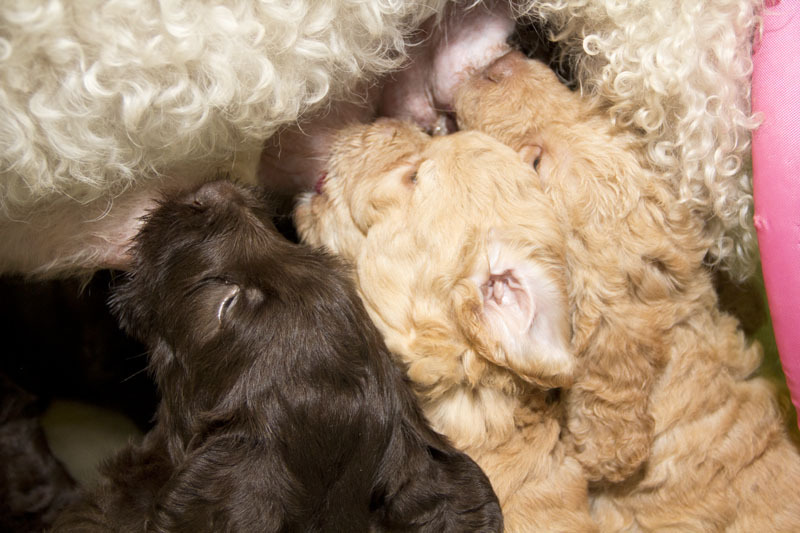 Please contact us if you would like to be considered for one our Australian Labradoodle puppies. We look forward to hearing from you! Mediums and small standards with sweet, gentle temperaments and non-shedding coats in apricot, caramel, red, chocolate, and black. Watch for updates on Facebook! We are currently seeking some very special individuals or families to serve as guardian homes for potential breeding prospects from our 2017 litters. Preferential pricing when you purchase your second (or third) labradoodle. A lifetime of support from Leapfrog!